3D trial bike game. Finish all the trials in the jungle! Be fast and use the nitro boost to win the trophies. Win a bronze trophy at least to unlock next level. Collect certain trophy sets to unlock new bikes. Make flips and backflips to earn additional nitro charge. Extreme games allow you to get the maximum thrill and a maximum dose of adrenaline. 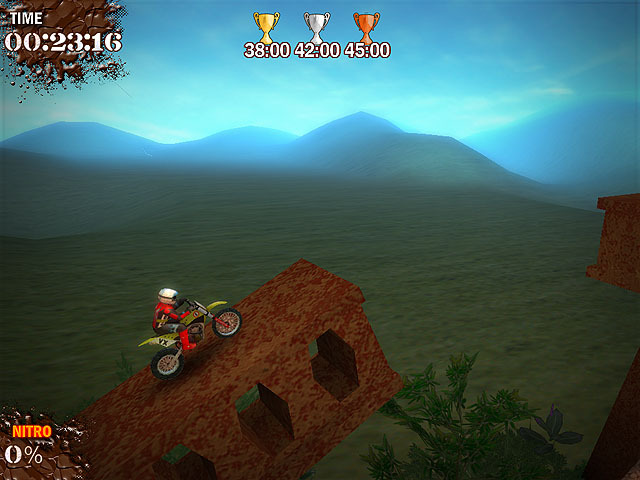 Flying cars over the precipice, overcoming obstacles on motorcycles and monster trucks and just excessively high speed can be seen in extreme games. Download free extreme games and enjoy the game without any limitations!